Prayer Journal For Those Who Don’t Journal! Confession. I pretty much stink at keeping a prayer journal. I love to pray. (You know I do.) But I go through starts and fits when it comes to writing down the conversations He and I have. When the Darlings were much smaller (about 8, 7 and 5) I became overwhelmed with the needs, dreams and issues I felt compelled to pray about. And than it hit me. I used (and continue to use) recipe cards for pretty much everything. Bookmark. Grocery List. Bible Verse. To Do List. Posted Reminder. Chore Chart. Why wouldn’t I use recipe cards to track prayers for the family? 3 x 5 Index Card Binder. 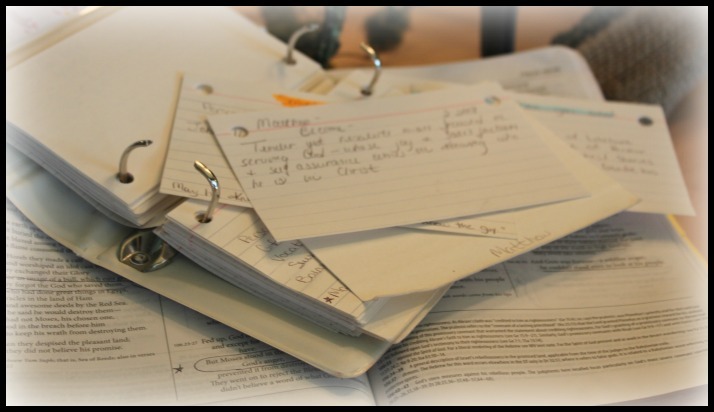 Even though I didn’t journal every day, the recipe card format enabled me to make brief notes that fostered consistent prayer. The journal also provided a means by which to see God’s faithfulness! If you feel like you are a “prayer journal flunkie” perhaps this system will work for you too! Do you have any other tips or ideas for journaling? This DoAhead would love to know! i love this, i went on line this afternoon, after church to find a pretty prayer and dreams journal. well there are several areas where you can go to set up one or so. Well, all 6 of us, we are a very small church, looked at each other and started talking about when we use to journal, and why we stopped. 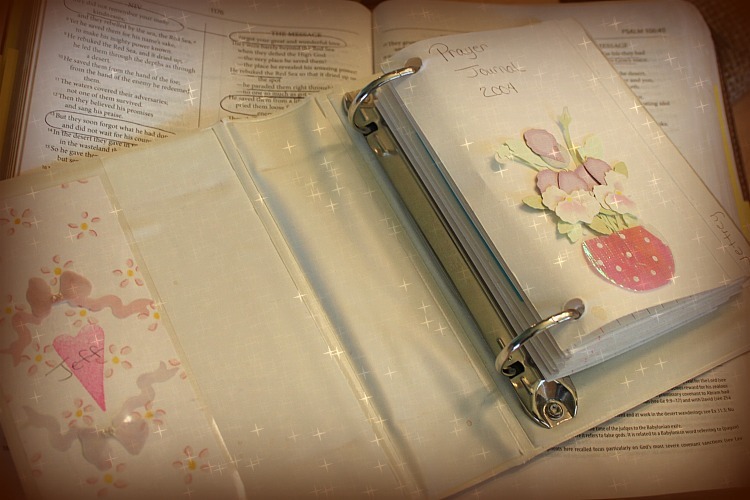 It mostly boiled down to accountability to someone., So we made a comittment to start journeling, so I went online to find a pretty journal for praying and dreaming and found this site. thank you for it. I still need to find a journal and start writing in it daily , because next month we are going to start sharing our dreams and ideas with each other. we feel we are a point of an arrow that will go and move this world. Now that i see this think we are on the right tract. How very exciting! There is something about being accountable to each other and even to ourselves that keeping a journal provides. It’s funny…I just spoke at a women’s retreat a few weeks ago about the dreams God has for us and the calling He places in each of us. I am currently reading a wonderful book by Jennie Allen called Restless. She talks about dreams. Her book helps readers figure out where their arrow should point. You might like it! I will be praying for your “group of 6”. I hope you’ll keep me posted. I would love to hear how you are all doing. Blessings!